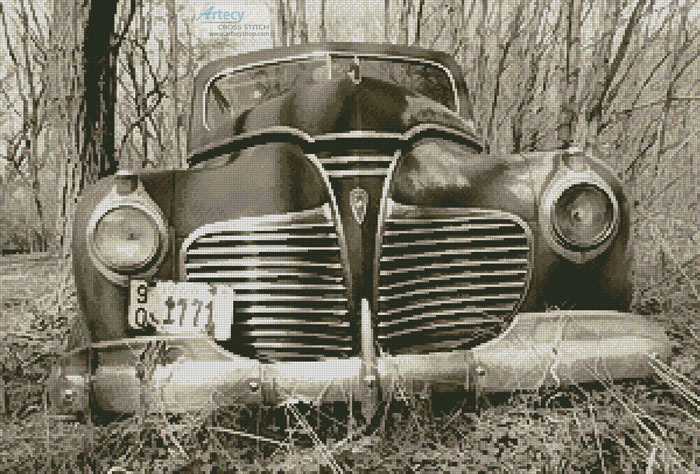 Old Car (Sepia) Cross Stitch Pattern to print online. This counted cross stitch pattern of an Old Car in Sepia tones was created from a photograph copyright of H Newberry - Pixabay. We also offer a black and white version of this pattern which you can find here.